Erie's Radon provides premiere radon mitigation services to give your family the peace of mind it deserves. We are fully trained and licensed to reduce radon levels in your home, giving you a healthy home environment that will keep you safe for years to come. 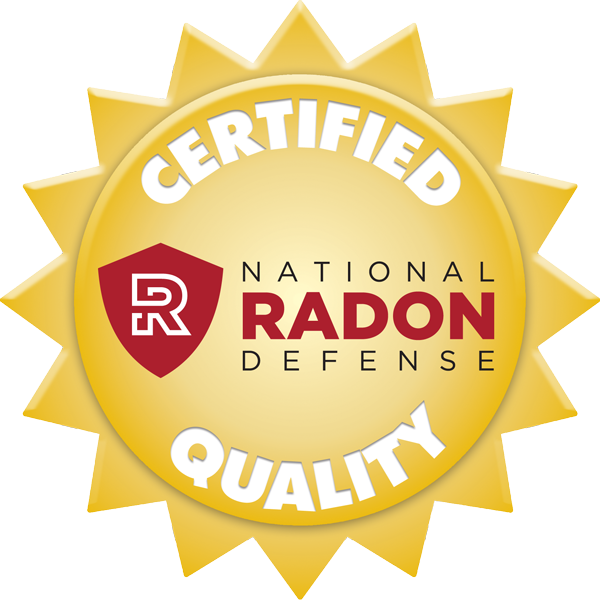 As a part of National Radon Defense (NRD), we are backed by an internationally supported network that guarantees our high level of skill and service. Radon gas forms from the breakdown of the element uranium, found in varying concentrations in the soil and water underneath your home. When uranium decays, the radioactive radon gas is pulled into your home via the “stack effect,” a vacuum that causes air from below ground to replace air leaving through the attic. This is why homes with crawl spaces or faulty foundations are especially susceptible to the gas. Radon gas is odorless and colorless; undetectable by any human sense. Eventually its effects can be deadly; it is the second leading cause of lung cancer behind tobacco. Long-term exposure to radon gas, even at a lower level, is much more dangerous than short-term exposure. And unfortunately most people find out about radon after they have already lived with it for some time. Here at Erie's Radon, we are here to help control the amount of radon in your home and eliminate its nasty effects. Our caring and courteous staff will make you at ease throughout the process. And afterwards, your home will have a system to handle radon for years to come! Worried about radon in your home? At Erie's Radon, we provide residents of Pennsylvania with a free radon mitigation quote to let you know the cost of expunging harmful radon. Have commercial or residential radon concerns? Call us at or contact us online to schedule an appointment today! We service Erie, North East, Edinboro, Corry, Waterford and areas nearby in Pennsylvania! Colorless and odorless: Radon gas is a dangerous substance that your senses cannot detect. Hire a reputable radon mitigation contractor to keep you and your family protected! Here at Erie's Radon, we know that every home and structure is unique. The soil and water underneath your home will produce a radon amount different to your neighbor, and radon access points vary widely across homes. For this reason, we take into account different factors when suggesting a radon mitigation system. The potency of the radon source, the ease of which it enters your home, and the building’s ventilation all affect the enormity of your radon problem and determine the solution. We understand these procedures and how to apply them to your individual home. Our trained technicians will walk you through every step of the process, explaining the purpose of each component and ensuring they all work efficiently and effectively! Because prolonged encounters with radon cause fatal illness, urgent action to eradicate radon is extremely important. Hesitation will only bring hardship to you and your loved ones. 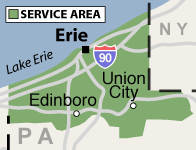 Erie's Radon is locally based and family owned and operated. We care about the happiness and wellbeing of all of our customers – that’s why we work in this industry! And, with the help of National Radon Defense, we are dedicated to giving you the best service at the best price. Contact us today to schedule your no cost, no obligation mitigation quote. We proudly offer our radon mitigation services throughout Erie County, in these cities: Waterford, Edinboro, Corry, North East, Erie, McKean, Albion, Union City, Lake City, Fairview, Girard.